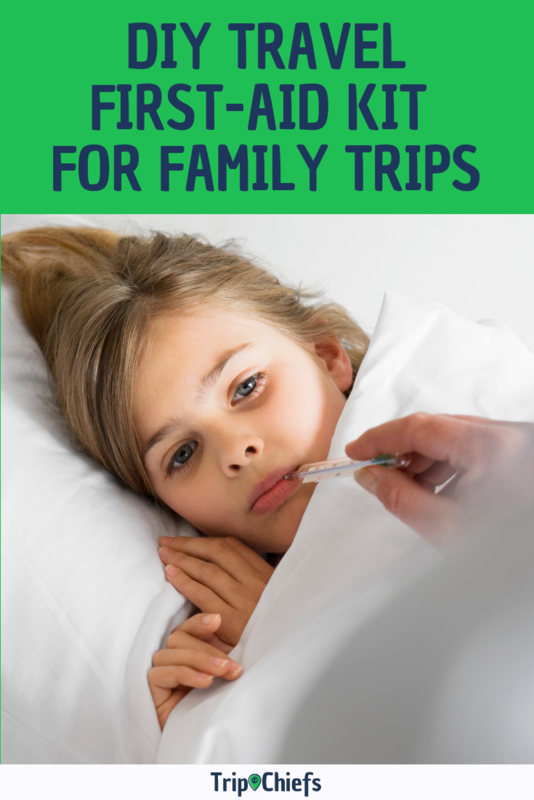 Whether it’s a grazed knee, stomach bug, fever or bee sting, accidents, and illness are bound to occur when you travel with kids. 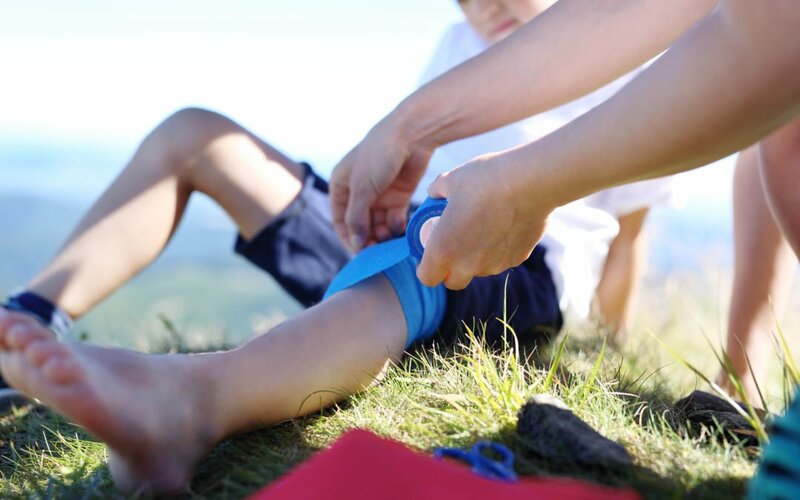 So we’ve put together a travel first-aid kit list specifically for families so that you’ll be well prepared for when you or your family need medical assistance. When you’re travelling, it’s often impossible to find a pharmacy at the time and place you need one. The health and safety of your family is a priority, so whether you’re road tripping through Australia, walking the streets of New York, or hiking through the mountains of Europe, remember to take a travel first-aid kit that is equipped to deal with your location and activities. 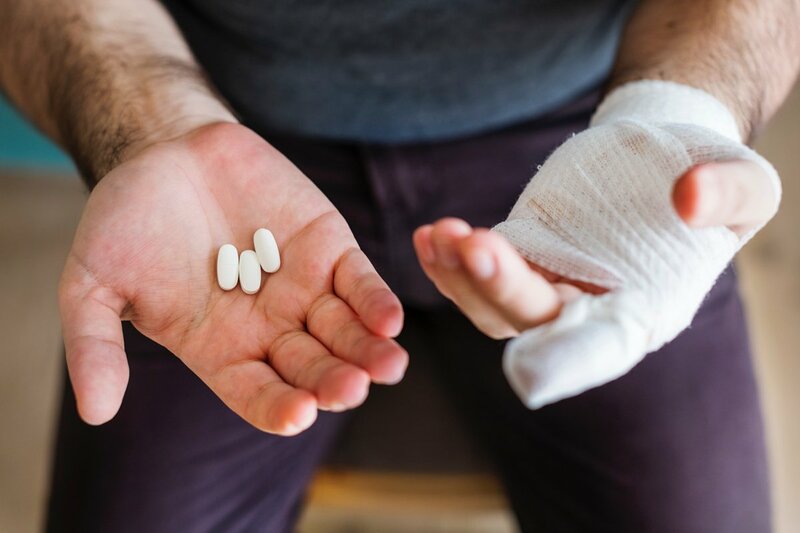 A travel first-aid kit doesn’t have to cost you an arm and a leg, and you don’t have to bring enough medical supplies to perform emergency surgery. In fact, you just have to gather the essentials so you can better deal with unexpected illnesses and injuries away from home. 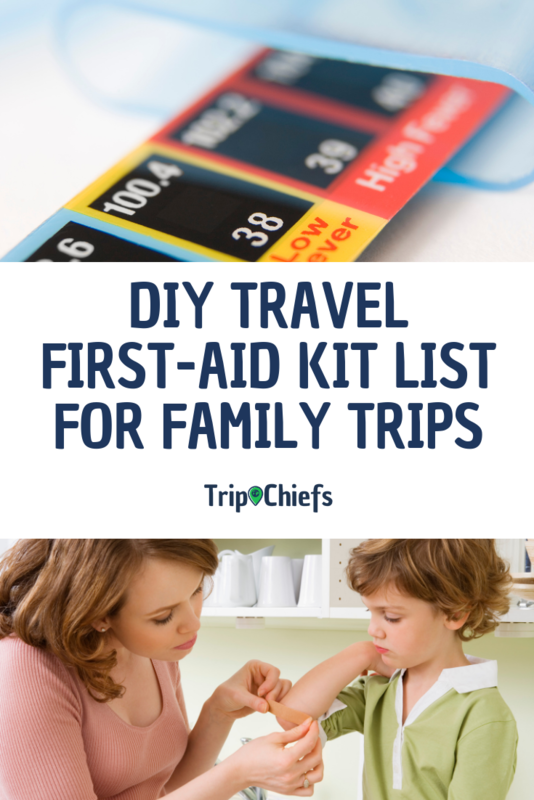 We’ve put together a checklist so you can put together your own travel first-aid kit that suits your family, their health concerns, and the destinations that you’re going to. This do-it-yourself first-aid kit will be more than enough for most destinations that a family would visit. 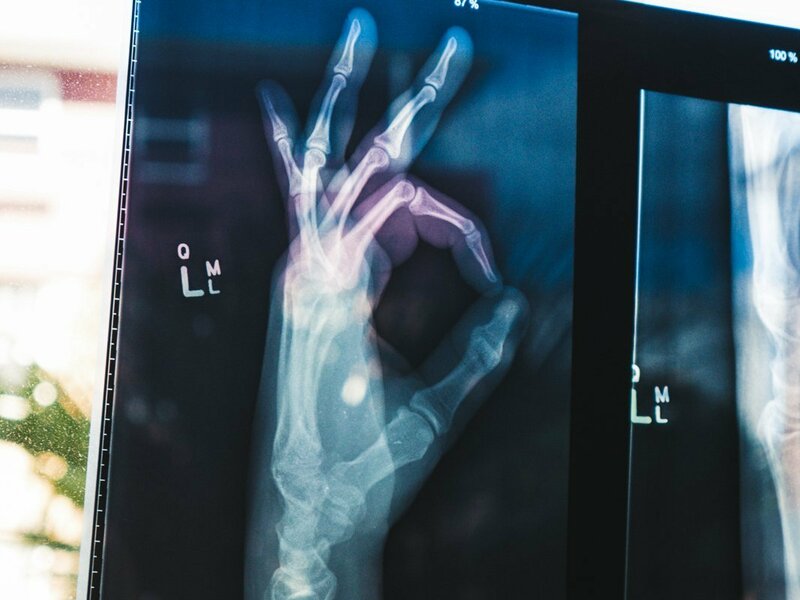 If you are going to travel to remote destinations or those with terrible health care, you’ll need to talk to a travel clinic or doctor, as you may need to take extra precautions. One really important aspect of travel first aid is that you know what to do with the contents of the medical kit. No point in having a CPR mask, wound closures, and hydrocortisone cream if you don’t know what to do with it. So my recommendation is at the very minimum, talk to the pharmacy staff when you go to buy it your items off the travel first-aid checklist about what each item is for and how to use it. The next step would be to read the packets or instructions that come with each item on the first-aid list. 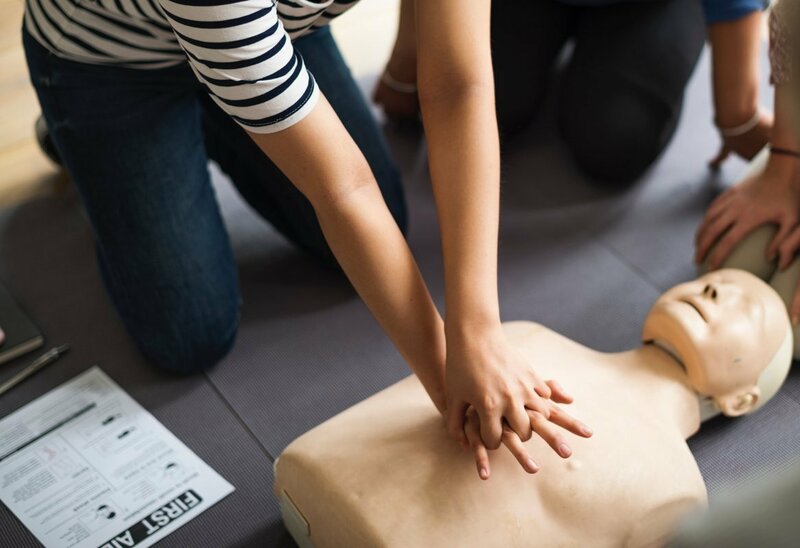 However, the best thing you could do, especially if you are going to a destination without easily accessible and quality medical facilities, is to go and do a first-aid course. Preferably one specifically that deals with first-aid for babies and children. 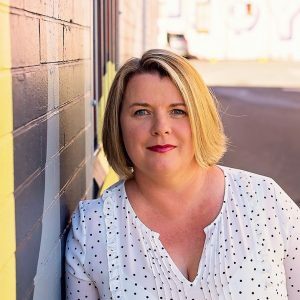 If you are heading to a remote destination such as driving through outback Australia, then it is a good idea if two adults on the trip are first-aid trained. This is in case one of the trained adults is injured, or if you need to treat more than one person. When you travel with prescription medicines, they should be in your hand luggage, together with your actual prescriptions, and doctor’s letter stating they are for personal use with the dosage of each medicine clearly indicated. Generic names of your medicines should also be written, as trade names may differ in other counties. Before you travel, you must find out if the countries you are travelling to, plus those you are doing a layover or stopover in, have any medicine restrictions. Some counties have restrictions to medicines you can buy over the counter at home, let alone the stronger ones, so it pays to check. There may be other items you need to add to your travel first-aid kit depending on what your vacation will entail and the remoteness of the area you will visit. Plan carefully what to pack, and if you are unsure what you might need while you’re away, check with your doctor or travel clinic for advice. Have a safe and healthy trip! 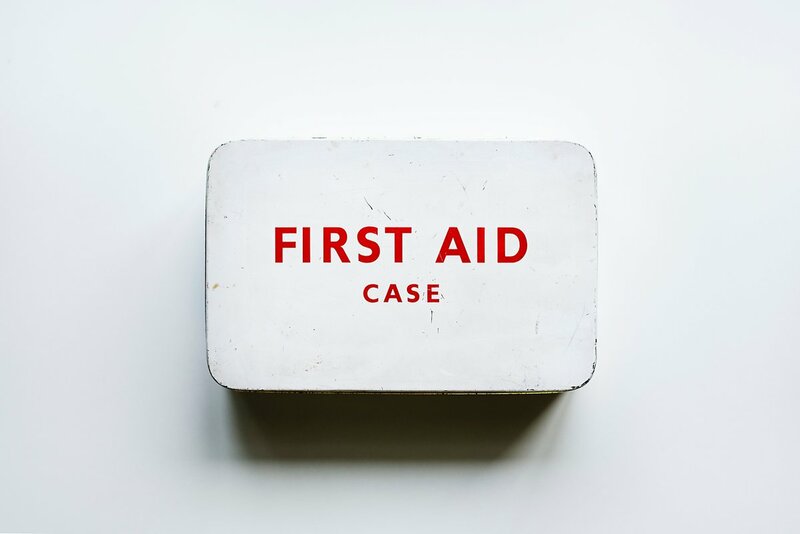 Split your first-aid kit up so that medication goes in one container, preventive stuff like insect repellent and sunscreen go in another, and the remainder forms the main accident and emergency first-aid kit. These are a few ideas for what you can store all your first-aid gear in. These are great because they will fit more easily in your bag. They aren’t good for storing anything glass or breakable. Try to get one without mesh or anything that will let in a heap of dirt or dust. You need to be able to grab it in a hurry, and find what you need quickly so something with compartments or that will keep it from all falling out would be good. You could use a packing cube or similar zip up bag, toiletries bag, or a made for purpose first-aid bag. Use something with durable material if it’s going to see some wear and tear. These are harder to store in your luggage and in your day-pack when you venture out, but they do protect the contents better. You can use a lunch box, a biscuit tin, or a true first aid kit. Make sure it’s easy to grab and run with if it’s for the emergency first-aid kit.